Shoe Size Chart – Shoe Size Diagram – Shoe Size Conversion charts display various corresponding sizes of shoes in different countries. 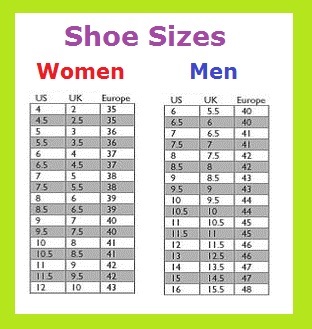 The following chart explains the conversion between USA, European and UK shoe sizes. Next time you buy Italian shoes you can find out what the equivalent US shoe size is.